I have good and bad news for all of those Fifty Shades of Grey Movie fans out there. First the good, Universal Studios Chairman Adam Fogelson has confirmed this week that there is a possible release date time frame for the much anticipated film adaptation of Fifty Shades of Grey. But here’s the bad news, it looks like fans will be waiting for more than a year for the movie to hit theaters. At this point Adam thinks a summer 2014 release is entirely possible. While on the one hand, any news is good news for the bazillion fans of the book series, that’s a long time to wait. What happens when we stop arguing over casting possibilities and already know for sure the Ian Somerhalder will play Christian Grey and Mila Kunis will score the role of Anastasia Steele? Okay maybe those are just my picks but you know what I mean. Once the film is cast and they begin filming that’s when the waiting game for us really begins. Most fans of the series ran out and bought all three books one after another. Now what? With nothing to fill that space even the most rapid Christian Grey fans are likely to find something else to sink their teeth into and what if it’s actually better? What if nobody cares about Fifty by next summer because the wait was just too long and the appeal wore off? Do you think that next summer is too long to wait for the first flick? Are you as obsessed about casting as you originally were or is even that curiosity starting to dwindle? I loved the books but as time goes on I’m caring less and less about the film possibilities? Do you feel the same way? Tell us in the comments below! Ian Somerhalder Now Reading Fifty Shades Of Grey Movie Script – Says So On Twitter! Fifty Shades Of Grey Movie: Ian Somerhalder and Matt Bomer Wrestle For Christian Grey Role! 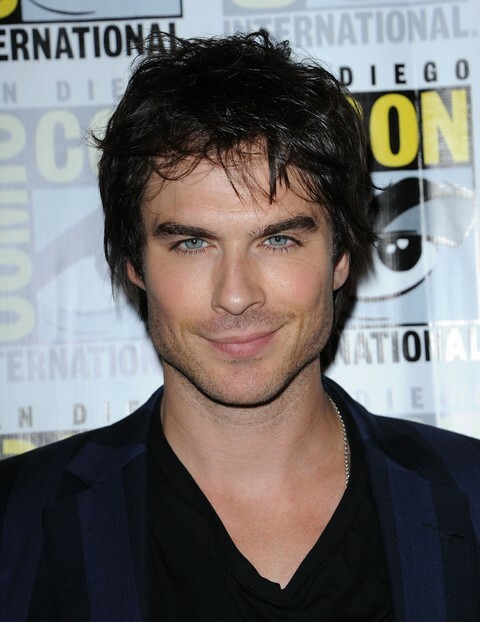 Fifty Shades of Grey Movie: Ian Somerhalder Must Play Christian Grey!